9:30 am to 3:00 pm. 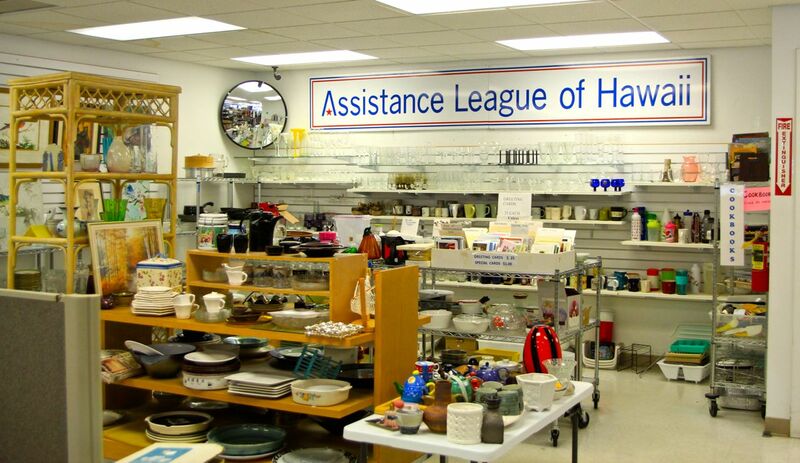 The Assistance League of Hawaii Thrift Shop is the main source of funding for our philanthropic programs. It is staffed and managed entirely by our member volunteers. 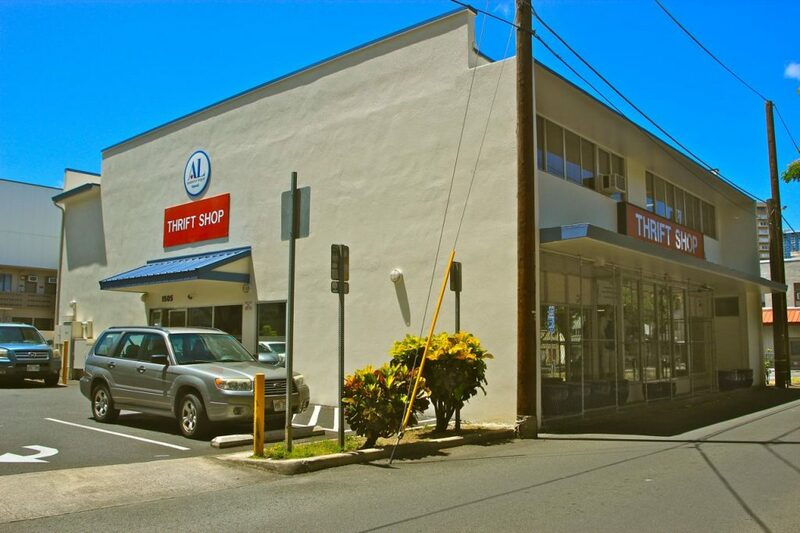 We are proud of our reputation as one of the best and friendliest thrift shops in Honolulu. 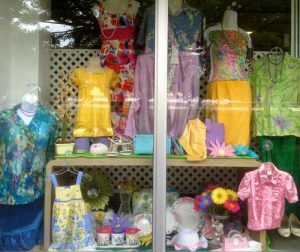 Find great prices on men’s, women’s and children’s clothing, accessory items, purses, hats, and shoes. 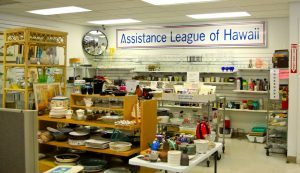 The Assistance League of Hawaii Thrift Shop also sells a wide assortment of collectibles, jewelry, household goods, linens, and small appliances. We have CDs, vinyl records, DVDs and an assortment of cookbooks, children’s books, and current best sellers. Toys, games, and sporting goods are on display. 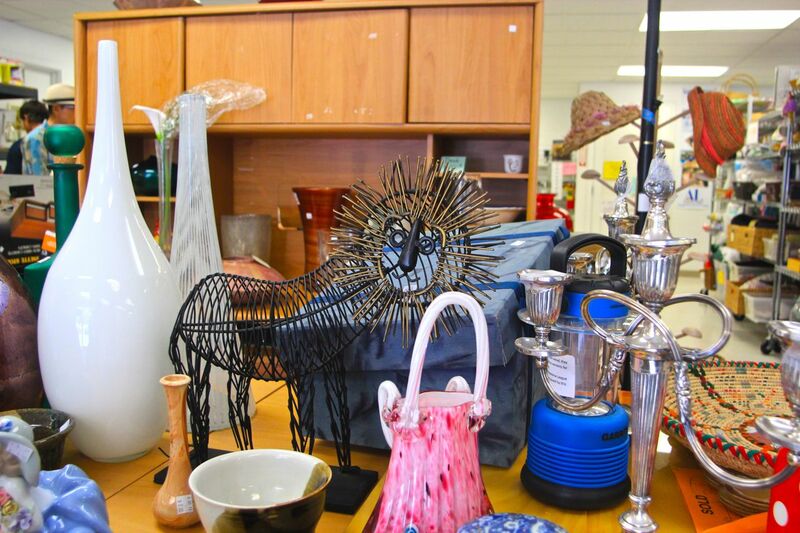 You will find a selection of furniture and furnishings in our treasure trove of gently used merchandise. Our member volunteers work hard to make sure the merchandise is always good quality, clean, and priced fairly. Come see for yourself! 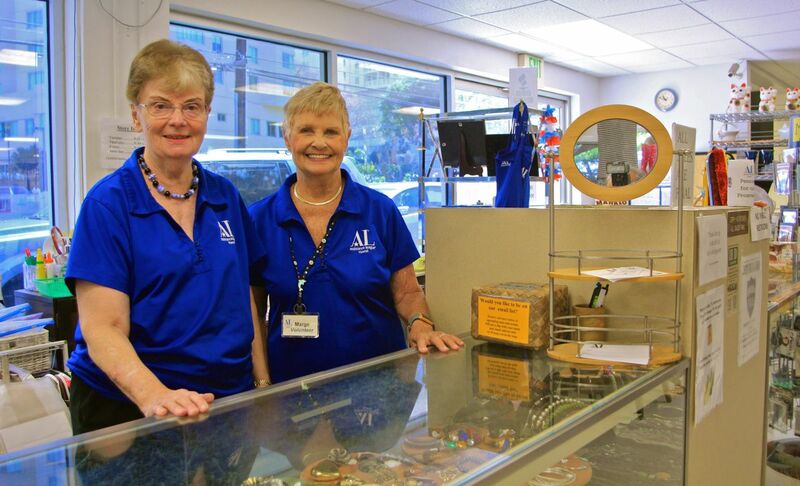 Our friendly staff of member volunteers are here to help you with any questions you may have. 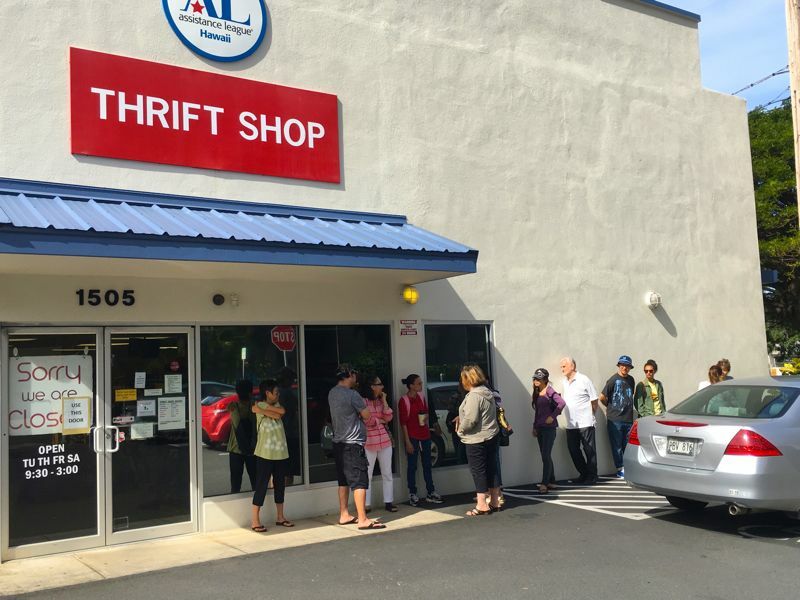 If you or someone you know will be moving or down-sizing, please consider donating items to the Assistance League of Hawaii Thrift Shop. 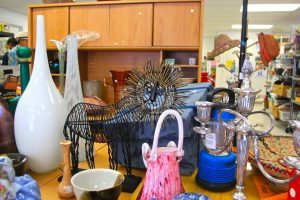 The Thrift Shop is in need of jewelry, quality housewares, kitchen items, clothing, and furniture. 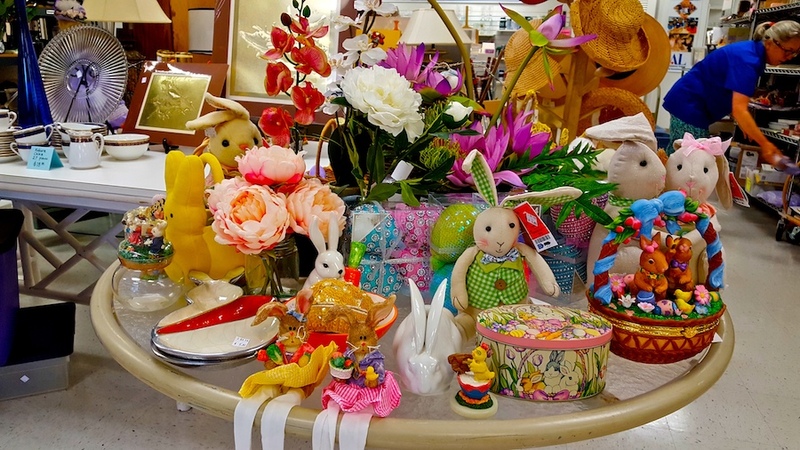 Your donation will help provide funding for baby layettes and new school clothes for children in need, books for school libraries, comfort bears for hospitalized children and much much more. 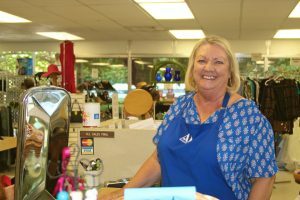 Be sure to pick up a Tax Receipt from an Assistance League volunteer. 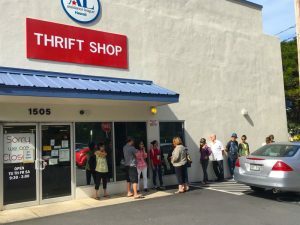 Sorry but we cannot sell or accept: baby furniture, car seats, strollers, computers, printers, fax machines, large appliances, TVs, skis, or exercise equipment, knives, weapons, encyclopedias, mattresses, construction or remodeling materials. Visit our Thrift Shop Sales Page for the latest specials and bargains.